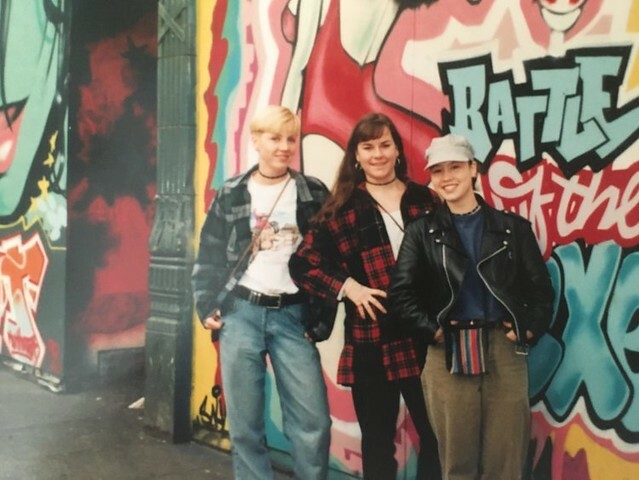 This guest post from Marissa — a local woman I learned about last November — is part of the “money stories” feature at Get Rich Slowly. Some stories contain general advice; others are examples of how a GRS reader achieved financial success — or failure. These stories feature folks from all stages of financial maturity. Today, Marissa (a.k.a. The Budgeting Wife) shares what she and her husband have decided to do after paying off $87,000 in debt. Does life change after becoming debt-free? Yes! The freedom that you get from being debt-free is amazing, life-changing, and encouraging for the future. But does your lifestyle have to change after becoming debt-free? Not necessarily. Here's my story. I met my husband Jacob while we were both attending the same private university. 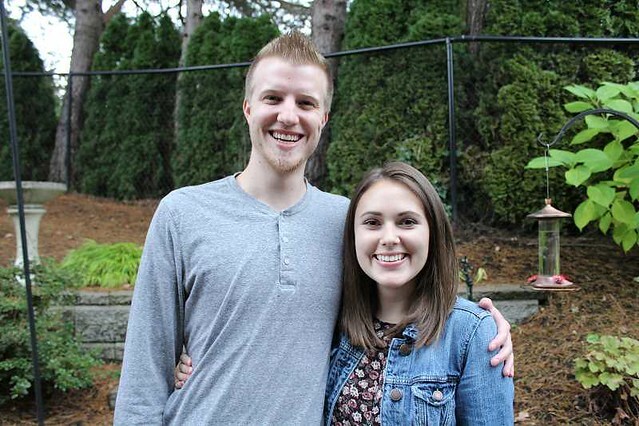 When we got married in July 2015 (right after graduation), you bet that we had a ton of student loan debt — $87,000 of debt to be exact. Having this much debt in our early twenties, while we were just starting our careers, was overwhelming! There were times where I thought we'd never be debt-free. But thanks to some planned sacrifice and lifestyle changes, we were able to pay it all off in about two-and-a-half years. To meet our goals, we kept our lifestyle very simple. We took public transportation to our entry-level jobs because our employer paid for it. We shopped at the cheapest grocery stores that we could find. We meal-planned every week! Eating out was a maybe once a month luxury to Chipotle. Our one-bedroom apartment, 700-square-foot apartment had plenty of room for the two of us. We didn't take vacations. Our date nights consisted of binge-watching a lot of Netflix. As difficult as those first few years were for us, it was completely worth it. All of these sacrifices allowed us to put 70% of our income toward loans each month. We gave up a lot, but we gained even more. There's truly no better feeling than being debt-free. We became debt-free last October. Since then, our lifestyle hasn't changed a whole lot. But it has changed some. But besides living in our own place again, our debt-free lifestyle hasn't really changed. I'm still driving my 1998 Camry and my husband drives his 2001 Tacoma. We cook most of our dinners at home, and pack our lunch to work every single day. Our evenings still consist of Netflix marathons and date nights are about once a month with a gift card that someone has given us. The neat thing about completing a debt-free journey is that you grow comfortable living with daily sacrifices. And then those sacrifices don't seem that bad! For two-and-a-half years, we learned how to make life work with three-year-old clothing, twenty-year-old cars, and cooking our own meals. We learned that fun doesn't have to mean spending money, but that it can be found with the people you spend time with. By maintaining a frugal lifestyle while having no debt to eat up our income, we have so much room in our budget to accomplish our next financial goals. Since repaying our student loans, we've turned our attention to saving for the future — to building what J.D. calls a wealth snowball. Because we're no longer living with my parents (and we've relaxed our standards a little), we're no longer saving 70% of our income. But we are saving almost half. We've been contributing to our retirement savings. We're also saving heavily for our emergency fund — first and foremost. It's been so much fun to watch our savings account go up! After we finish saving a full emergency fund, we're going to start saving for a house. While we enjoy our time in our apartment, we can't wait to have a house of our own! Buying a home will be the biggest purchase of our lives, so we want to make sure that we're smart about it and can have a good down payment. Oh, and those twenty-year-old cars we have? We'll probably have to get new ones soon… So add that to the savings list! When I meet people who are recently debt-free (or about to be), I encourage them to maintain the same budget and lifestyle they had when they were paying off debt. 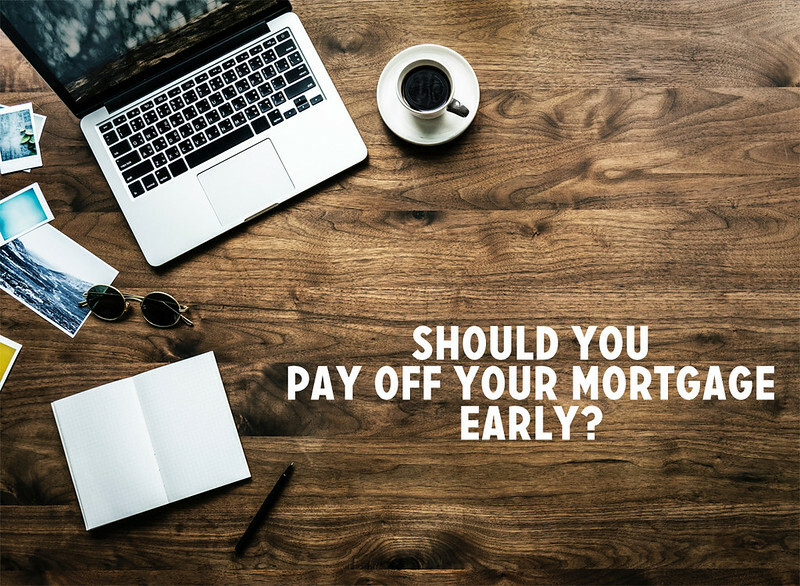 The debt-free journey is hard at first, but once you've become accustomed to the lifestyle, it's not so tough to maintain…if you make an effort. When you maintain a simple lifestyle, every raise you receive has an immediate impact on your financial goals, which makes it that much easier for you to win with money! If I could give people digging out of debt some advice, it would be to not stop once you're debt free. Don't change your habits. Keep the intensity. Stay focused on your next goal. Maintain the simple lifestyle that helped you succeed in the first place. I'm an optimistic guy. I believe that most people are basically good. So far, life has proved me correct. That said, I'm not naive. I know there are still plenty of scumbags out there — and that many of these scumbags prey on the unsuspecting in order to line their pockets with profit. Recently, for instance, Kim has been receiving phone calls from a company purporting to be collecting a debt owed to the Internal Revenue Service. Kim knows she doesn't owe the IRS anything. She's always paid her taxes in full. This company is attempting to coerce her into paying on what is known as a phantom debt — a debt she does not owe. But not everyone is willing to ignore these calls (or to acquiesce, as the case may be). Earlier today, Bloomberg published a story by Zeke Faux that describes how one victim of a “phantom debt” scam fought back — with a vengeance. For once, the scumbags messed with the wrong guy. Therrien doggedly worked his way from low-end debt collectors to their bosses, then to their bosses, eventually confronting a billion-dollar businessman who might as well be called King of the Scumbags: a guy named Joel Tucker from Kansas City, Missouri. A year after he'd started his crusade, Therrien managed to get Tucker on the phone. He recorded the call. It's long — over 4000 words! — but well worth your time if you like tales of justice served. But it's also enlightening. I had no idea that the “phantom debt” problem was so wide-spread…and that so many people fall for this sort of scam. Dave Ramsey sometimes takes a lot of heat. His assumptions on investing are, well, questionable. Plus, there are people who take issue with his version of the debt snowball, which focuses on repaying low balances first instead of high interest rates. I don't listen to Ramsey's radio show, but I took the time to view this 73-minute video clip featuring the top 10 calls from 2017. Callers in this video include a couple who has $158,000 in debt but hasn't paid their bills in six years, another couple with almost $700,000 in student loans, and a third couple who is homeless because of haphazard financial decisions. Watching Ramsey patiently guide lost listeners through the dense jungle of financial failure is inspiring. I couldn't do it. Even though I've done lots of dumb things with money myself, I'd get frustrated dealing with call after call after call from people who have made such poor choices. But Ramsey remains calm, patient, and interested. Getting out of debt is tough for a lot of people. It's both a financial and psychological challenge. Think of it this way: Getting out of debt when you haven't learned how to manage money is like running a marathon without preparing physically. Both tasks are possible, but they're much more difficult than they would be for someone who was actually prepared. This is why many folks need to use psychological “tricks” when they repay their debt. For example, I'm one of many who used the Dave Ramsey version of the debt snowball to finally achieve debt freedom. I tried (and failed) to use the mathematically optimal method — repay your high-interest debts first — several times. Once I shifted my focus to repaying low-balance debts first, I was able to plow through my debt without a problem. 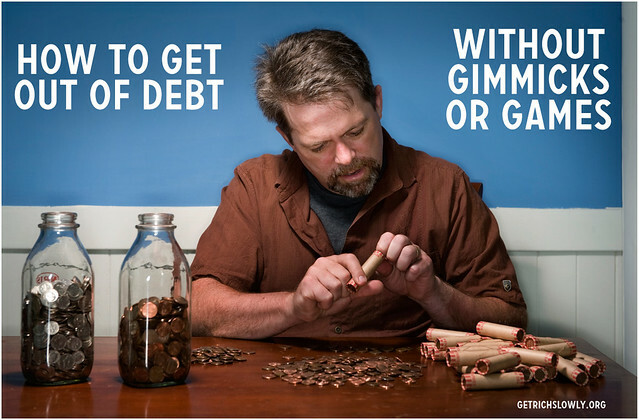 Another game people play when paying off debt is the use of visualizations. Take Alissa, for instance, the GRS reader who created a paper chain to represent her debt. Each link in the chain represented $100. Whenever she made a payment, she got to cut off a few links — until the chain was gone. This is the debt visualization I use today. 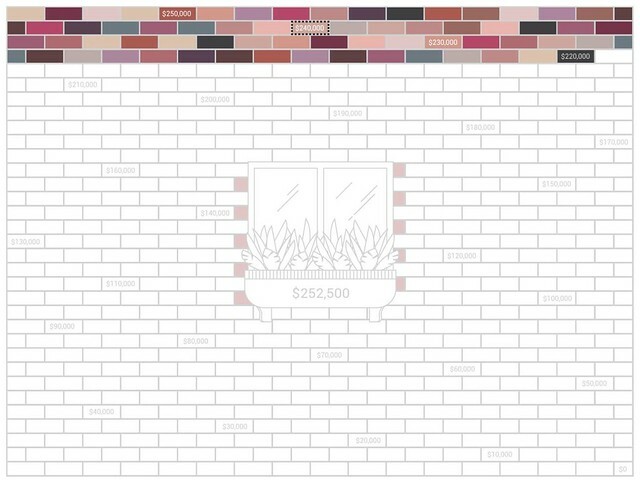 It's a brick wall representing my post-down payment mortgage debt of $252,500. Each brick represents one thousand dollars. I color one in for every $1,000 I pay down toward the principal. If you look closely, you'll see one brick with a dotted black outline. That's where I would be today if I only made minimum payments. Although these sorts of visualizations and psychological tricks are most commonly used when getting out of debt, the same concepts can also be applied when building your wealth snowball. What methods have you used to visualize your progress toward your financial goals?